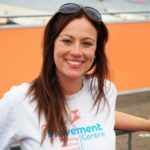 Vicky joined The Movement Centre in 2015 leading on all aspects of fundraising and marketing, before taking on the role of Chief Executive in 2018. She has previously worked with local, national and international charities. Vicky is a keen collector of vintage handbags, an avid reader and loves to go out on walks with her two cockerpoos, Alfie and Archie. Polly joined The Movement Centre in 2016. She supports the team with all aspects of TMC’s operations, including finance, HR and compliance. Polly has two young children who take up most of her free time! However, she enjoys getting outside and going running when she gets the chance. 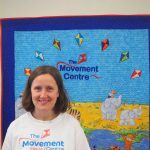 Sarah joined The Movement Centre after qualifying as a physiotherapist in 2009. She also works with orthopaedic patients and those with spinal injuries as a bank physiotherapist for RJAH Hospital. Sarah loves being active and spends her spare time walking the local hills and cycling. You may even pass her on her bike on her way to work in the morning! Curtis joined the team in 2016 as a Physiotherapy and Fundraising Assistant. He had previously had 7 years previous experience as a Therapy Assistant. Curtis had also had lots of fundraising experience, having organised many events and completed four marathons. 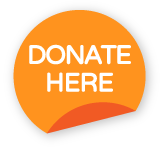 In April 2018 he made the switch to fundraising and marketing full time. 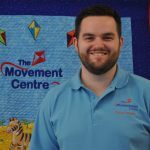 Away from The Movement Centre Curtis is a keen runner, a swimming teacher and he loves to cook. Lynne joined The Movement Centre in 2002. 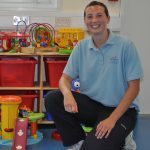 Her background as a trained Nursery Nurse is invaluable when working with children of all ages. 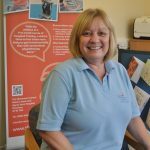 Lynne supports the physiotherapists in assessments and the team with administration. 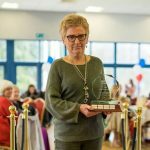 When she is not working at The Movement Centre Lynne is kept on her toes by spending time with her five grandchildren. Ann joined The Movement Centre in 2018. 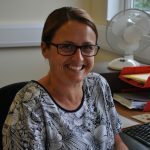 Her background is in childcare and she has vast experience of working with children of different ages. Ann supports the physiotherapists in sessions and with administration. Away from The Movement Centre Ann is a mum to three older teens and enjoys reading, listening to music and caring for Niffler the cat. Doreen is a vital part of our team who volunteers weekly. She started at The Movement Centre in 2016 and has supported the fundraising team in many ways, including research, fundraising ideas, supporting us at events and baking an afternoon tea. Doreen is a great support to The Movement Centre. Doreen is a keen golfer and enjoys walking, eating out, going to the theatre and reading.